These days ladies alone do pretty well anywhere in the world they travel. The world has gotten used to women on their own in airports and hotels due to business traveling, and more recently, vacationing. I’ve traveled alone in many countries and I wholeheartedly recommend it for those decisive independents who don’t get too lonesome at dinner. I’ve wandered by myself through Paris, Florence, Buenos Aires, as well as all over the United States. But the one country where it doesn’t work out well is Cuba. I had fallen in love with the country and its people in January on a cultural exchange in a group of about forty people. Not wanting to wait until it got too hot or until the end of the rainy season which would soon begin, I went back on my own in April. (To be sure I had my U.S. Treasury License to do research with me.) Wanting to avoid both the high cost and tourist ambiance of the big hotels, I rented a room in a crumbling 18th c. palacio on the Malecon, with a balcony overlooking the sea and the lighthouse across the bay. The owner was friendly and accommodating, the location was fantastic, I had maps and a list of phone numbers of people I had met in January. Oh and the weather was perfect. But I had a problem. I was an American woman. A tall, pale-skinned redhead, there was no way I could blend in as I always try to do wherever I go. It is impossible to walk down any street in Havana day or night without every man on it calling out to a female tourist. It isn’t dangerous, just not comfortable. Mostly of course it’s the younger men, and I suppose it’s equivalent to U.S. construction workers–just part of their macho roles as men. The older Cubanos’ machismo translates into courtliness. I took a bicitaxi one afternoon from the Cathedral clear across town to calle San Miguel to deliver a letter from the States. The little old man cycled me over potholes and around pedistrians and trucks to the remains of an old hotel. Without comment, he chained up his bicycle and led me into the lobby, inquiring of several people the correct room. I could tell that there was no way he was going to let me fend for myself in that dark warren of habitacions, like a medina in Cairo. He was only satisfied when we found the correct room, which was divided into three tiny windowless areas altogether no bigger than a broom closet. Two men were playing chess in the middle space in the front of the open door. When they didn’t understand my explanation of why I was there, the woman across the hall came over and instantly got a handle on the situation, and I delivered my letter. The taxista was sitting in the shade by his bicycle when I came out into the sunshine, as I had asked him to wait for me. From there he pedaled me back across the square and plazas to El Floridita, where I had to change my $20 bill in order to pay him. Then I joined all the tourists drinking daiquiris and flashing their pocket cameras while posing in front of the Hemingway memoribilia on the walls. I joined a table of Belgian girls and we talked about Jacques Brel and sang some of his lyrics together. It felt good to be in a group of women. A tourist woman alone feels vulnerable in Cuba wherever she goes, despite the policeman on nearly every corner day and night. She can’t lose herself shopping, because there isn’t any. People-watching on the Malecon or Prado is an open invitation to be hassled or hustled. She’s more comfortable in the bars, lobbies and dining rooms of the tourist hotels because there is a security person for every few guests. But then she’s just meeting other tourists, and probably those from her own country. Cubans aren’t allowed in the tourist hotels, except in the public areas by special invitation. This is the one country where I suggest going in a group. Especially if you are a dancer like me. In Buenos Aires I boldly go alone each night to the tango halls where I dance until dawn with no problems. There is a strict formal code of behavior there, and in my six trips to Argentina, I never once had any sort of difficulty. Cuba doesn’t work like that. There are very few salsa clubs per se, and I wouldn’t recommend a woman entering them alone, hoping to dance, as she might in Buenos Aires. 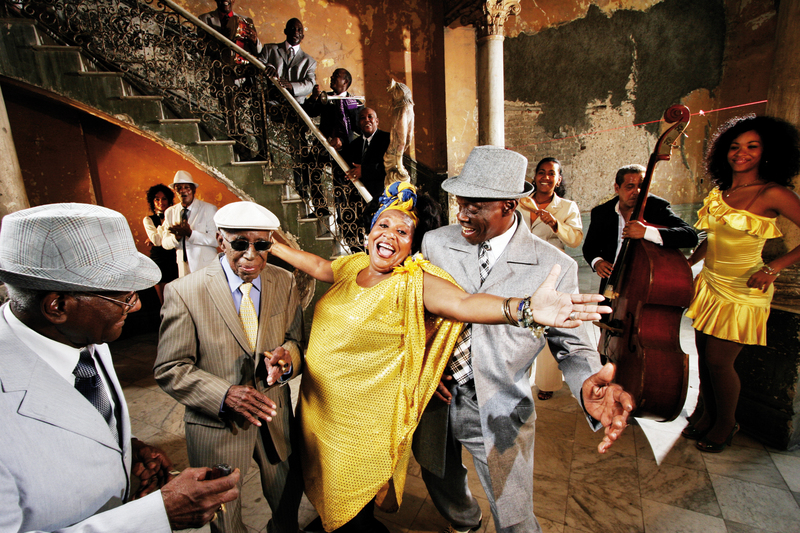 The Cubans dance all the time, but informally at parties and casual gatherings. They can’t afford the clubs which are very expensive. And so it’s mostly other tourists who are at the clubs anyway. So unless you meet local people who invite you to their fiestas, a Havana trip will not usually provide hours of salsa dance experiences. Live musical groups perform in bars and cafes everywhere so you can listen to some great stuff, but in order to dance, you must bring your partner. Women who want to dance salsa or to study folklore and religion or education or medical care in Cuba will learn more and have more fun in a group of like-minded individuals. And as a matter of fact, I will be taking a small group of salsa dancers from Los Angeles in November 2001 to study Cuban music and dance, “The Salsa Cubana Experience.” Now that I know the ropes, I want to share what I learned about where and how to dance in Havana with other dancers, and to have fun in a mixed group of Americans and Cubans together. Also to help foster understand between our two cultures, where there is so much misunderstanding and misinformation. Let the music and dance bring us together. NextNext post: Memorial Day Weekend, One To Remember, for sure!